Do you want to hear some shocking news? 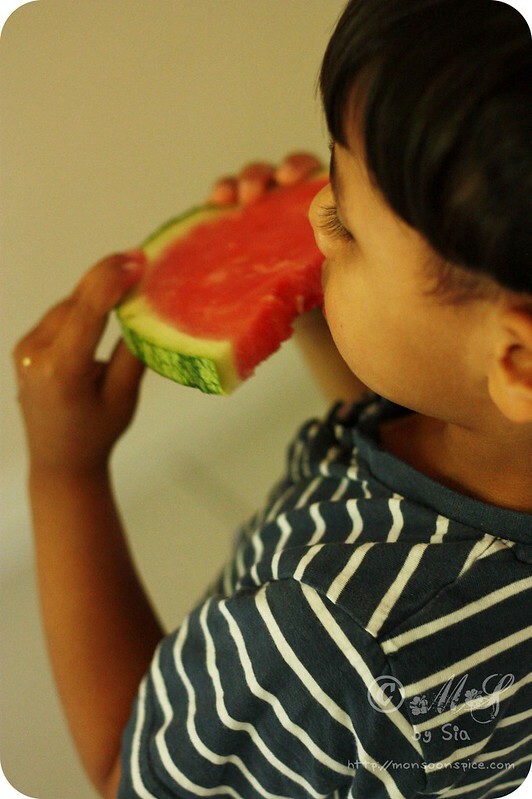 Lil Dumpling’s favourite ~ A big slice of watermelon! Yes, unbelievable but true. After what felt like longest winter and coldest spring, the sun god has decided to humor us not only with his presence but also with his scorching heat! I am sporting deep tan and it is impossible to leave the house without generously applying thick layer of sunscreen lotion! The clear blue skies, blazing sun, scorching heat, dry earth, warm breeze, dusty roads and parched throats are sure sign of arrival of Indian summer in Britain. Already two weeks into my year long sabbatical leave, I am having the most wonderful time of my life! With Lil Dumpling for a company, we spent most part of our days outdoors playing and exploring the wonderland around us! We potter around our small garden in the morning blowing bubbles, digging mud, building sand castles in a makeshift sand pit, talking to honey bees, watching the creepy crawlies, and breathing the fresh air! Late afternoons are the time to cool ourselves by drenching each other with water pistols, running around screaming, watering the plants, and splashing water in the inflatable pool. Yes, water is our new best friend and we can't get enough of it! To keep ourselves hydrated and our body cool, there is a steady flow of tall chilled glasses of fruit juices and smoothies along with ice lollies and ice creams. The pure joy of eating, licking or drinking something really cold on a very hot day is a pure bliss and we are making sure to enjoy this experience to the max! While our freezer is packed with ice lollies, choco bars, frozen fruits and tubs of ice creams, the fridge has steady supply of varieties of summer fruits and vegetables. After eating fruits to our heart’s content, the next best thing is to use them in juice or smoothies. One fruit that Lil Dumpling has been enjoying the most is the watermelon. Given a choice he would eat ‘what-a-melon’ for breakfast, lunch and dinner! 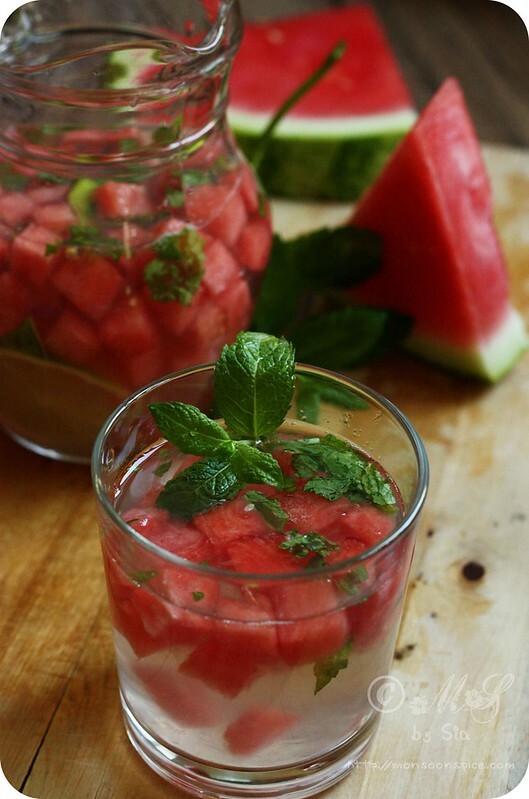 Cut the watermelon into 1 cm cube pieces and pop it in the refrigerator to chill in an air tight container. Roughly chop or tear the mint leaves with fingers and lightly crush them in a mortar and pestle with a tsp of sugar. Squeeze or extract the juice from the lime and add it to the pitcher. Add the sugar, mint leaves, and water to the pitcher and mix them well until the sugar dissolves completely. Adjust the lime juice and sugar as per taste. 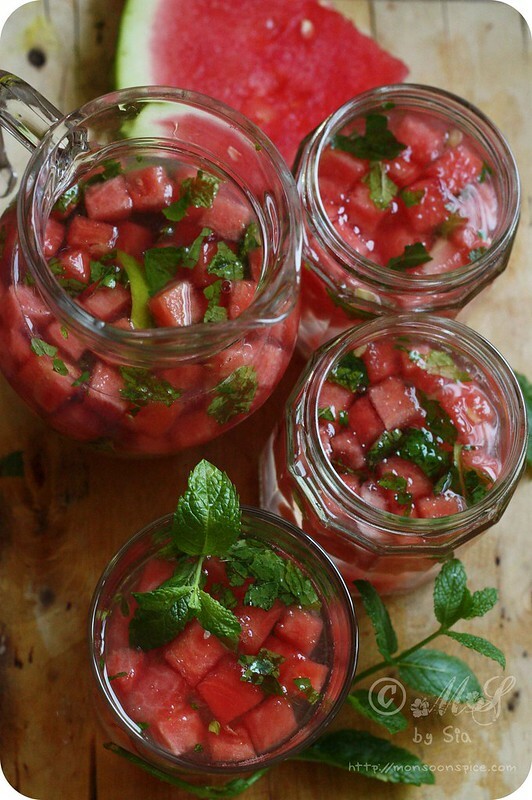 Chill the watermelon pieces and limeade in fridge for ½ hour or until needed. 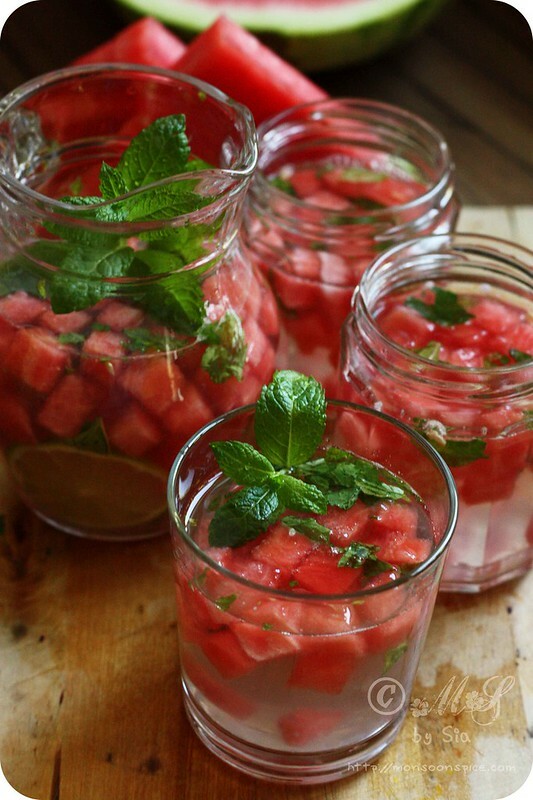 To serve, take the glasses and fill it ⅓ rd with water melon pieces. You can strain the limeade to remove the mint leaves but I have left it on as we like to bite into them. 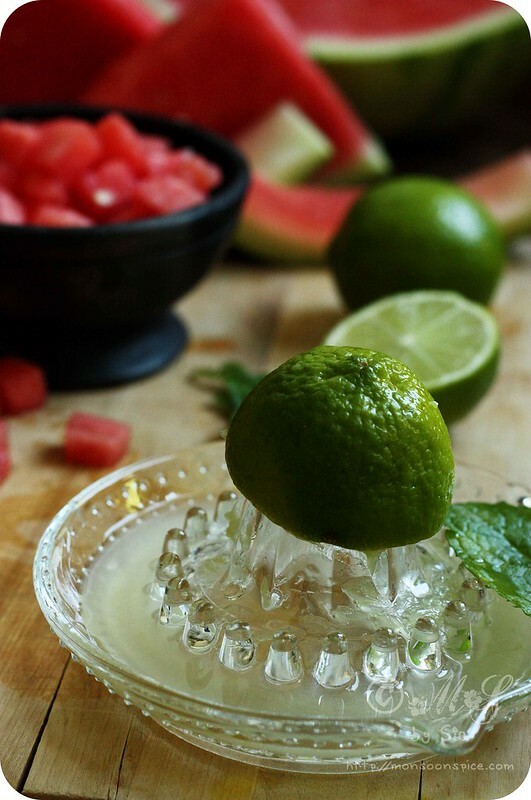 Drop one or two ice cubes and pour in the limeade. 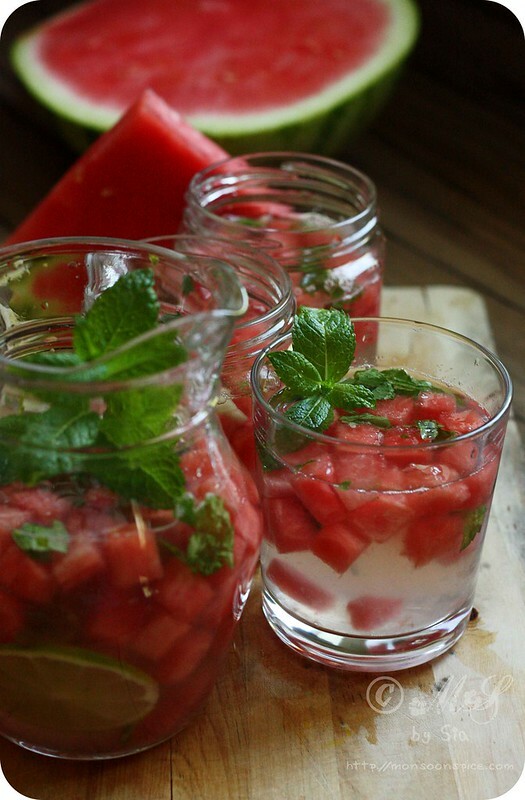 Serve this delicious sip of Watermelon-Mint Limeade chilled and enjoy! 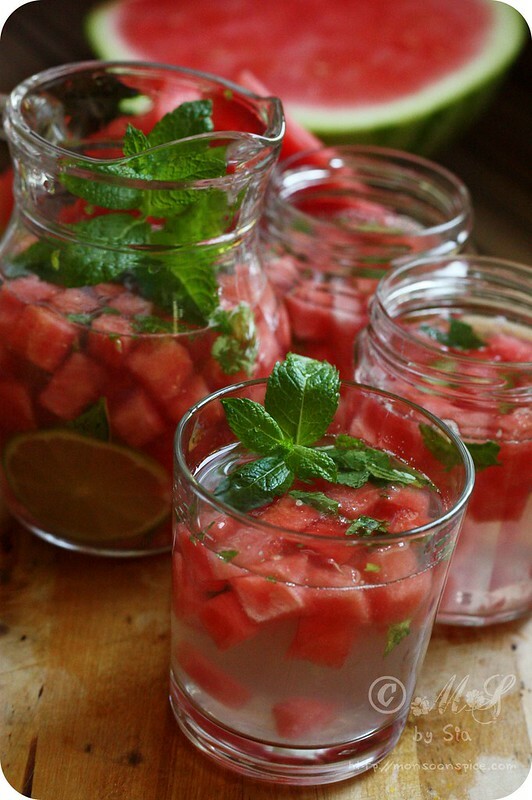 You can replace lime juice with freshly squeezed lemon juice to make Watermelon-Mint Lemonade. You can strain the limeade to remove the mint leaves but I have left it on in ours as we like to bite into them. You can give your own twist to the recipe by adding rock salt or black salt or crushed roasted cumin powder or even jaljeera powder to give it a Desi twist. 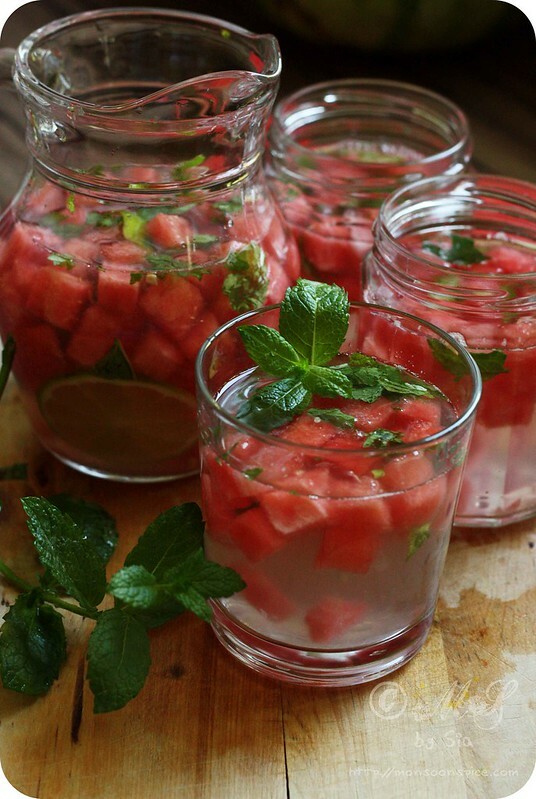 You can juice the watermelon pieces instead of using them as a pieces in the Watermelon-Mint Limeade. 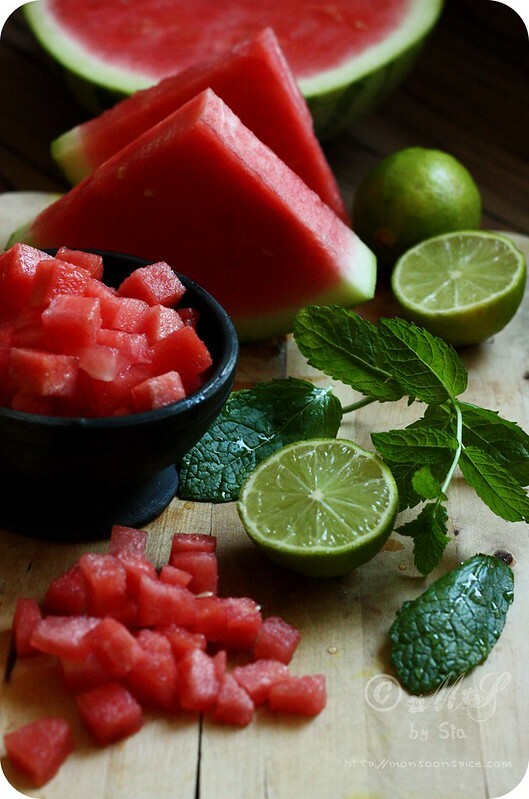 So refreshing and exquisite! This is a fabulous summer drink. oh I have been making something similar too! I love, love, love, how refreshing it is. enjoy your special time with LD! Wow! 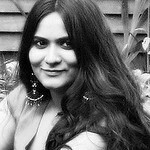 Gorgeous clicks Sia. 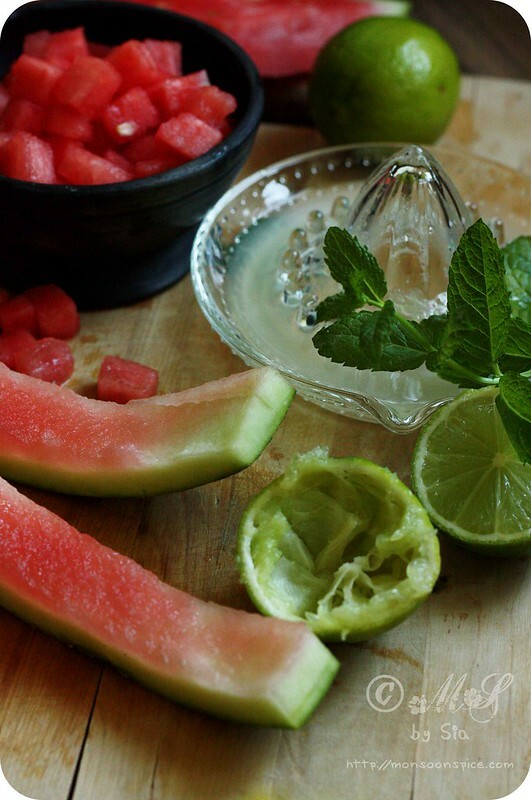 Would love to grab this mint limeade speckled with watermelon beauties.